It doesn't matter whether you're a first-year college student, in the process of completing your PhD or an experienced researcher; it's nearly impossible to spot mistakes in your own academic writing. So why take the chance? At Supaproofread, we specialise in providing professional proofreading and editing services to the academic community, and we can proofread and edit your academic papers in a matter of hours. The most brilliant theorists can be misunderstood if their work is not expressed clearly and succinctly. Our professional academic proofreaders and editors will highlight any mistakes or spelling and grammar anomalies in your document, and suggest changes that will improve the clarity of your work. You can choose whether to accept the changes the editor has proposed in your academic paper through the "track changes" function in Microsoft Word. You have complete control over changes to your document. Our team of professional editors are graduates from the UK, Canada and US who will never plagiarise or ghost write any of your academic documents. They will edit your work for clarity, flow and consistency. We also offer information and guidance in our Academic Resources which provides help on structuring your academic essays and grammar tips. Our essay editing and proofreading service is our most popular academic editing service. Do you want your essays to be free from spelling and punctuation errors, with correct grammar and style? Then let a Supaproofread editor improve your writing by providing advice on the overall sentence and paragraph structure and tone of your paper. Having your dissertation edited and proofread means that a professional editor will review your research paper for clarity, tone and sentence structure. Our online editors will make sure your paper shines as a dissertation and communicates your research and findings clearly. Before you send your application to your chosen college or university, you need to ensure your admissions essay and personal statement are flawless. Our admissions essay editing service will ensure your application ends up exactly where it should - at the top of the pile! Having your Master's dissertation or PhD thesis proofread and edited by a professional editor is a must at your level. Our editorial team will ensure your paper meets the high standard that is expected at this academic level, allowing your research paper to shine and contribute to other research in your field. Every document is reviewed by an individual editor. This increases precision and consistency and ensures the highest standard for your academic paper. 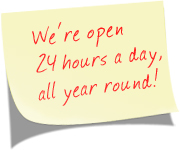 Our service is available all day, every day. You no longer have to search the Internet or ask your fellow university students; we are available at a moment's notice. We're committed to your privacy and security. We won't disclose your details to anyone other than our professional online editors who all sign non-disclosure agreements. Your security and document privacy remain protected throughout every step of the process. We're fast, accurate and flexible. Our proofreading and editing prices are reasonable and fair for the work we do, and we can handle any size of academic document. We work to your specifications and your style guide. Your formatting style is preserved in every one of your essays. We can even provide dedicated proofreaders and editors who will always work with you throughout your course. We work to well-known standards of your choice, including APA, MLA, Chicago, WIT, CMS, Turabian and CBE. This ensures that your documents are clear, concise and accurate. Please remember: We focus on what needs to be done to strengthen the effectiveness and impact of your written academic document. We also ensure that the academic editor who works on your essay or research paper is a good match for your topic. You can rest assured that your document will receive individual attention.